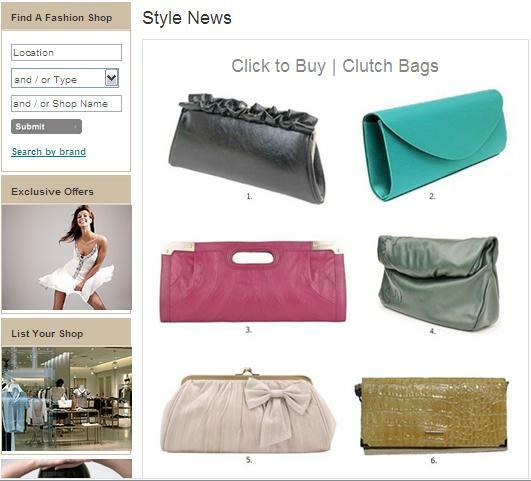 Clutch bags make the perfect accessory for fashion forward trend setters. Whether they are vintage or new, every girl should have one. This month the editor has picked out her favourite clutch bags from a selection of online fashion boutiques. The particular favourite is no.6, a stylish vintage mock croc clutch bag in cream from The Stellar Boutique. This entry was posted in Press and tagged clutch bag, fashion, fashion accessories, fashion boutique, fashion online, fashion shop, online vintage boutique, vintage accessories, vintage bag, vintage clothing, vintage clothing online, womens vintage clothing.